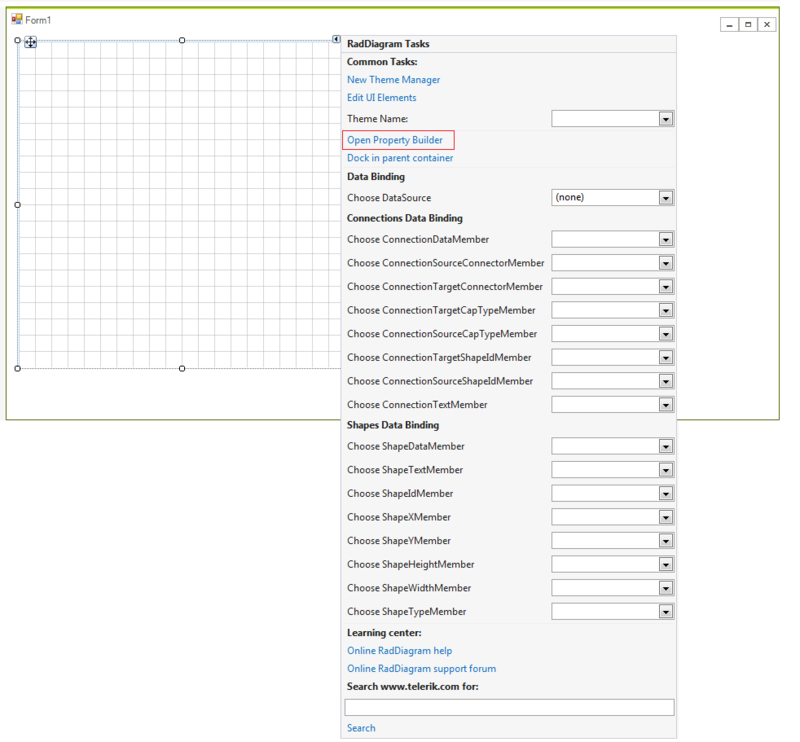 In order to populate RadDiagram with RadDiagramItems you can add RadDiagramShapes and RadDiagramConnections by using the Property Builder. 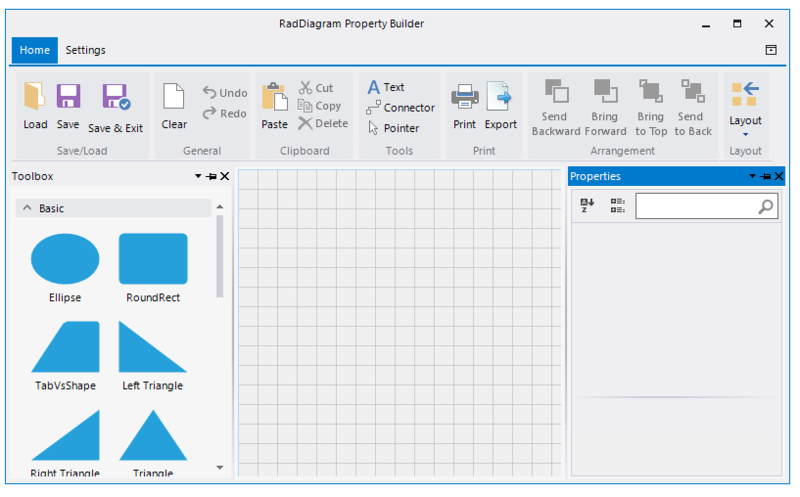 The Property Builder allows you to drag a shapes from the RadDiagramToolbox and drop it onto the RadDiagram surface. Afterwards, you can connect several shapes by using the connectors. The RadDiagramRibbonBar gives you a set of options to customize the diagram and save the changes as well.